To gain power over others through fear. Don’t feed your fears. 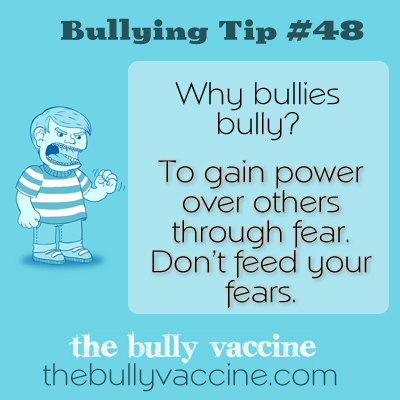 Bullies bully because it works. The only way to get them to stop is to stop playing their game and to force them to play a game that they can’t win.